How to Choose a President? Dr Al Mohler recently gave his commentary on choosing a President. I write this review in an election year (2008). 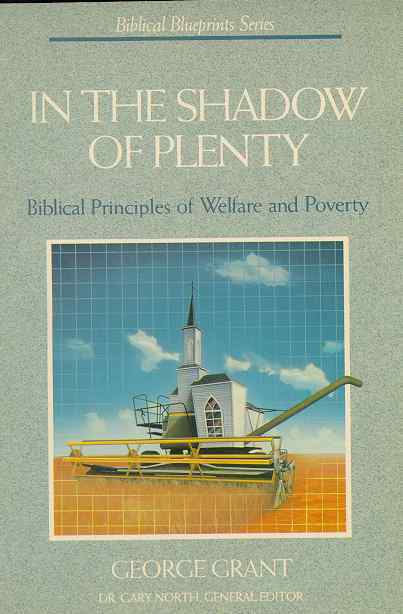 There is a need for a biblical view to be expounded upon in regards to Government and welfare. Overall, I agree with the principles in this book and also its perspective of charity in the sphere of individual families and the church. There is much to be done, and he documents a bit of the failure of the state and the immorality of the state in its enterprise with Welfare. Other books could further establish this, if you wanted the argument concerning this to be more developed and documented. However, his aim is to have to a Biblical blueprint to resolve the problem. Non-theonomist and theonomists alike should read this book. The only concern for me is that at times I was extremely annoyed with some of the sloppy citation he gave of Scripture, where it does not logically support his idea. Despite this, I agree with the overall principles of this book. 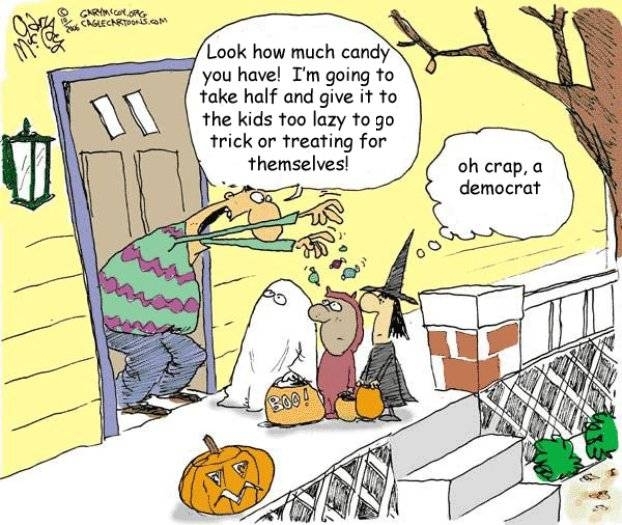 A friend sent this cartoon to me. Apparently Joe the Plumber has inspired a cartoonist. Sometimes Christians need to take a step back and ask, what is the relationship between God, the Bible and us when it comes to the issue of justice? How is it that a hero like john mccain is passed over in the press, his running mate dragged through the mud, while barack obama walks on water with a history of radical liberalism, anti-american sentiment and questionable, at best, associations? did i mention no experience? Death to anyone who converts to Islam in Iran. A Christian man is awaiting his death sentence for converting from Islam to Christianity. A month ago, the Iranian parliament voted in favour of a draft bill, entitled “Islamic Penal Code”, which would codify the death penalty for any male Iranian who leaves his Islamic faith. Women would get life imprisonment. The majority in favour of the new law was overwhelming: 196 votes for, with just seven against. Imposing the death penalty for changing religion blatantly violates one of the most fundamental of all human rights. The right to freedom of religion is enshrined in the Universal Declaration of Human Rights, in the International Covenant on Civil and Political Rights, and in the European Convention of Human Rights. It is even enshrined as Article 23 of Iran’s own constitution, which states that no one may be molested simply for his beliefs.